Need an air conditioning and heating service company for your home or business in Crystal River? We offer ac maintenance, ac repair, and AC installation for homeowners in Crystal River. In addition to these services, we also specialize in ductless air conditioning, also known as mini split ac units. Ductless air conditioners are fantastic for cooling individual rooms and lanais. For customers whose ac units frequently encounter organic growth inside their ac unit and ductwork, we have indoor air quality products like air purifiers, higher MERV air filters, and UV Lights. Have questions about our air conditioning services for your Crystal River home? Call us at 352-229-6221 today! Have an old or underperforming air conditioning unit? We specialize in both ac installation and ductless air conditioning installation in the Crystal River area. Whether you are looking to replace your heat pump, mobile home package unit, straight cool system, or gas furnace we can replace your air conditioning and heating system. If you are building a new home, we would love to design and install your new HVAC system. It’s very important to get it right the first time when it comes to new construction ac installation. An undersized unit, undersized ductwork, or poorly sealed ductwork can cost you! Converting your garage or looking to add air conditioning to your lanai or Florida room? Ductless ac is a great option for you! They are extremely efficient and do a great job at cooling individual rooms! Visit our AC installation page for more information, or call us with any questions! Your air conditioner stopped working. Now what? Call and schedule your ac repair visit with us for your home or business in Crystal River, Florida! 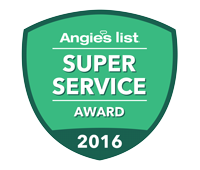 We are extremely proud of our ac service technicians for not only their knowledge and experience, but also their good characters. At Coast to Coast Heating & Air Conditioning, we have a really great group or NATE certified techs serving our customers. When we visit your home, we look at the whole picture. We don’t take any shortcuts or make any assumptions troubleshooting your ac unit. We thoroughly go over your mechanical and electrical components until we accurately locate the problem. Once located, we present the problem along with a solution and the price to remedy the issue. After authorization, we gather the needed parts and fix your air conditioner. 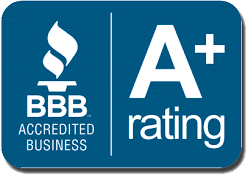 We make our ac repair services in Crystal River simple, seamless, and affordable. Check out our ac repair page for more information and discounts! Looking for an AC maintenance provider for your home or business in Crystal River? Air conditioning and heating systems require periodic maintenance to keep them prevent larger problems from occurring. Ac units accumulate quite a bit of dust, dirt, grime, and organic growth over time. This can cause a serious loss of efficiency and spike your energy bills! We recommend ac maintenance to be performed on your home in Crystal River at least once a year, with the ideal option being twice a year. Summer is a brutal time of the year for your air conditioner so the best times to have your air conditioner serviced are typically in the Spring and the Fall. If you need AC maintenance for your business in Crystal River, we offer customized maintenance programs according to your needs. We can come as often or as little as you would like. We have some clients with 20+ air conditioners that we maintain, so no job is too big or too little! Call our office today to schedule your ac maintenance in Crystal River at 352-229-6221. Want more information? Visit our ac maintenance page. Serving Crystal River's Air Conditioning Needs!